But, there really weren’t that many spectators. It’s a great venue, there was great racing and really…this is one of the premier roadracing series in the world. So here is the question… how does the promoter, in this case Corona beer, get more fanny’s in the seats? When Heather and I picked up our credentials the gentleman there told us that we didn’t need a parking pass because this was small event and it wouldn’t be a problem. Well, he was right. So, the question still stands..how do you get more spectators? The DMG, Daytona Motorsports Group, thinks they have the way. Change the class structure, make it look more like NASCAR(? ), give the riders nicknames, etc, etc…but my thought goes a lot further than that. If more Americans rode on two wheels, whether it’s a scooter, sportbike, cruiser…the interest in all things two wheels becomes more interesting. I mean, hey, there are scooters that have paint jobs that look like MotoGP bikes! If local and state governments would work to make cities more two wheel friendly, more people would ride motorbikes. That in itself would do so much for traffic issues, parking issues, the environment and save you and I a lot of money at the gas pump. Just look at Europe. When we were in Italy last year and Mexico the year before that, scooters and small displacement motorcycles were everywhere. In Mexico, the police ride 250’s and your pizza is delivered on a Honda 125. This entry was posted in cruisers, Helmet Time, scooters, sportbikes on September 29, 2008 by themotoworld. Now, on to what I really wanted to write about today. The politics of roadracing. I, and many others have written and podcasted( www.themotoworld.com )about the struggles of the DMG/AMA Pro Racing and the riders and manufacturers. As I have been getting ready to head up to Laguna Seca for this weekends AMA season finale, I’m also working with the teams PR people to line up interview time for our podcast, www.themotoworld.com . Here’s where the politics come in. We have been told by three out of the four manufacturers that we can do interviews, but we can’t talk about whats going on in racing, where are they, the company and the riders are going be next year. With the DMG who has said that they have lined up all the promoters and tracks, or the speculative MIC series also known as the SBBC series, that really don’t have much set in stone as yet. The fourth manufacturer said no interviews at all. So, it looks like interviews this weekend will be limited to “what did you have for breakfast?” OK, it’s not quite that grim..I get to talk to Jake Zemke again to see where he is headed for next year, his wife likes Italy..Ben Spies about his plans, does his mom like Europe? And, I think we’ll have a lot of fun with Roger Lee Hayden. It’s going to be a very interesting off season don’t you think? This entry was posted in Helmet Time on September 23, 2008 by themotoworld. …the irony of it all. The MotoWorld resides in a rural area about 50 miles north of Los Angeles. Orange and avacado groves, the California Condor Preserve and some beautiful riding areas. 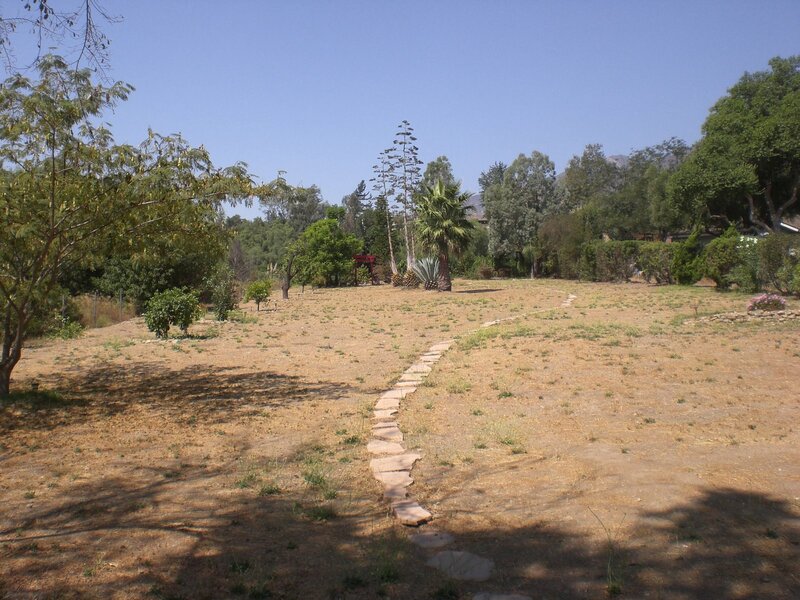 We also have a BIG back yard, about an acre or so. Some trees, shub’s, gardens…but mostly weeds. However, ya gotta mow down the weeds too. We have a twenty plus year old yard tractor to handle most of that chore. We also have a bunch of motorcycles. Our barn became very crowded. Fast forward to a couple of days ago. We bought a new tractor. Newer, bigger, better…perfect. And a new bigger, better trailer too! 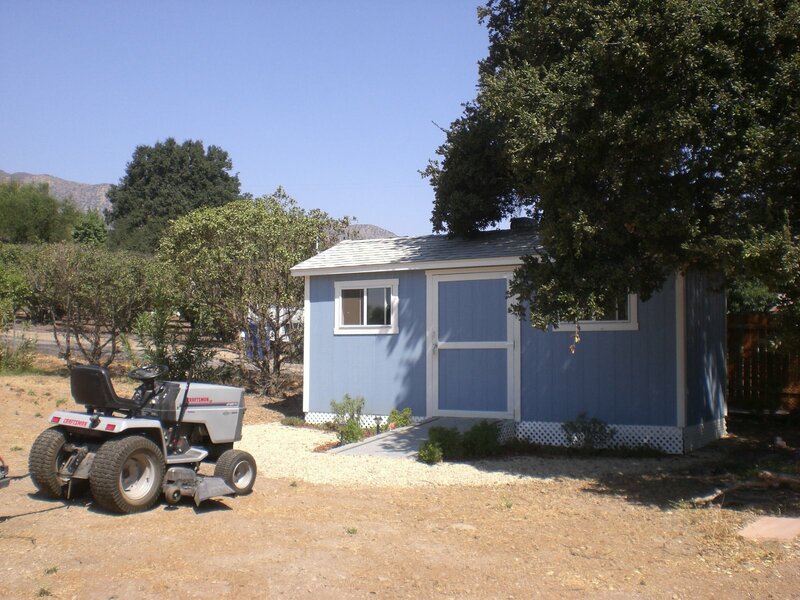 So….yard equipment back in the barn, motorcycles relegated to the shed. Well, the bikes and I can listen to NPR and ride around the back yard, we just don’t have that pot belly stove we used to have while doing oil changes in the winter. This entry was posted in Helmet Time on September 8, 2008 by themotoworld. …minding my own business, cruising down the road on ‘The Mighty 350’ when all of a sudden it hit me, yeah, a bug the size of a U-Haul truck!!! Darn near knocked me off that little bike. I hate when that happens. So, here’s my question…why is it that great big ‘ol bugs, you know the ones that splatter really big, always hit you in the face shield? Not on your jacket, not on your pant leg, but right in the middle of your face shield??!! Then,if you try to wipe it off, it just smears all over the place and makes everything worse. Sheesh. Thats all I could think of to write today. So I guess I’ll go out for a ride and see if I can rid the world of a few more U-Haul sized bugs. This entry was posted in Helmet Time on September 1, 2008 by themotoworld. 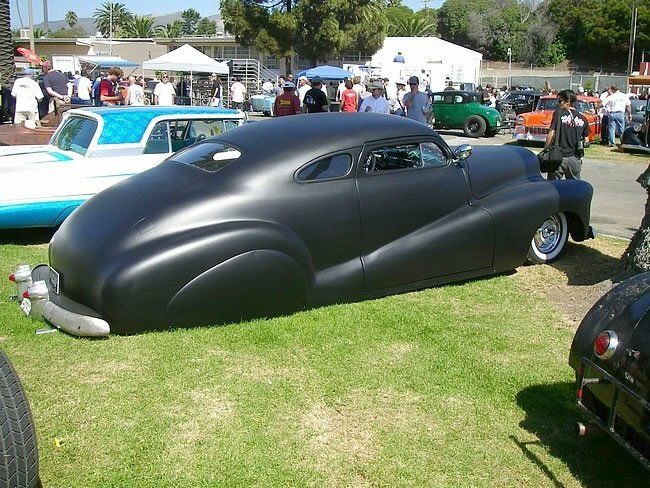 A few years back, a young friend of mine, actually a friend of my son’s, came into my surf shop with an idea of having a car and motorcycle show at the local fairgrounds. Not chrome, paint, hydraulics and bling…Primer. Rat cars, rat bikes and tattoo’s. The real deal. You had to drive the car in, ride the bike in…no ‘trailer queens’ allowed. 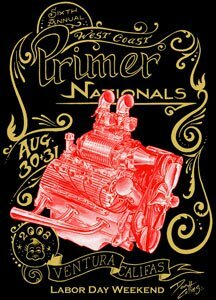 “The Primer Nationals” was born. Tory DuVarney, Dave and the guys at ‘The Shop’ in Ventura, California pulled together one of the coolest, and this is truly a great use of the word ‘Cool’, shows you can ever go to. This weekend was the annual ‘Primer Nationals’. Chopped and channeled, slammed, frenched, shortened, stretched, fender skirts, continental kits, it’s all there. Mercury, Buick, Ford, Cadillac and Chevy. Trucks, coupes, sedans, wagons, buckets and convertibles. Flatheads to SOHC Ford’s. Open headers with cutout’s to ‘twice pipes’. An amazing show. 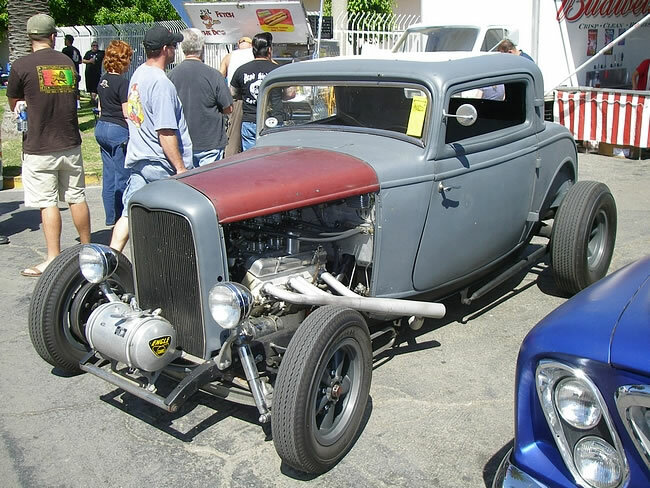 Every sight, sound and smell (some hot rodders need to take a shower…ever seen the ‘Rat Fink character?) was there.